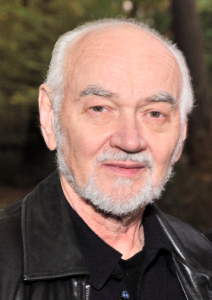 It is with profound sadness that we announce the recent passing of our dear colleague and friend Professor Jaak Panksepp. Words alone fail to do justice to the significance and impact of his life. As a scientist, Jaak inspired generations – from eminent academics to the students he so lovingly taught. His was a most distinguished career. In life, Jaak touched everyone he met with his gentle kindness and beautiful mind. In death, his career achievements leave a lasting legacy, laying fundamental groundwork for further exploration and discovery within the neurosciences – not least of which the field of neuropsychoanalysis – in the quest to understand mind and brain. Our discipline of neuropsychoanalysis is poorer for his passing. Jaak will be remembered for his groundbreaking research into the neurobiological nature of emotions. Amongst his many notable works, he was the author of two seminal texts: Affective Neuroscience: The Foundations of Human and Animal Emotions (1998), and The Archaeology of Mind: Neuroevolutionary Origins of Human Emotion (2012). Outside of his scientific endeavours, Jaak had a lifelong interest in the arts – in large part due to his wife Anesa. It is to her and the rest of his family that we extend our deepest sympathies at this extremely difficult time. In memory of Jaak and his outstanding scientific contributions we will be hosting a dedicated session at the upcoming NPSA Congress in London. Please watch this website for further details.